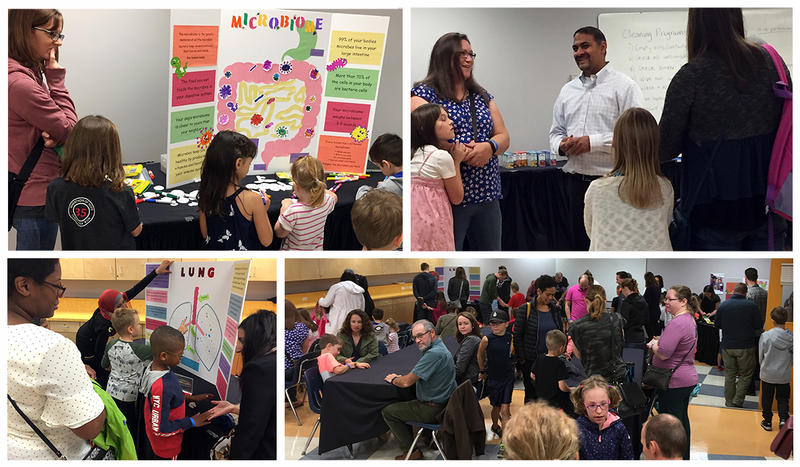 On September 8, 2018, the Edmonton site team of CHILD gathered 100 study researchers and participating families in the Telus Science Centre to celebrate the completion of all clinical visits with children in the study at five years of age, and to thank the families for their continuing dedication to CHILD. As part the festivities, Edmonton site leader Dr. Piush Mandhane reviewed some of the key publications and findings that have emerged from the study thanks to the involvement of participating families, and research coordinator Joyce Chikuma provided examples of how the study has helped propel interns, Research Assistants and post-doctoral students along their career paths. Interactive educational displays illustrated lung function and the gut microbiome—key areas of CHILD research. Similar 5-year celebrations were previously held at the Manitoba, Toronto and Vancouver sites of CHILD.